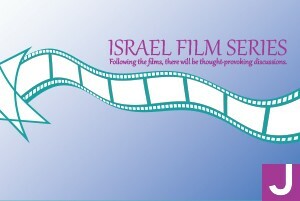 The Mittleman Jewish Community Center proudly presents the 3rd Annual Israel Film Series featuring three extraordinary films with special guests. Each film was selected for its quality and ability to excite, delight, enlighten, provoke and/or move viewers to tears or laughter. You will not want to miss out on these films! Co-sponsored by the Institute for Judaic Studies. You can check out the full line up below!